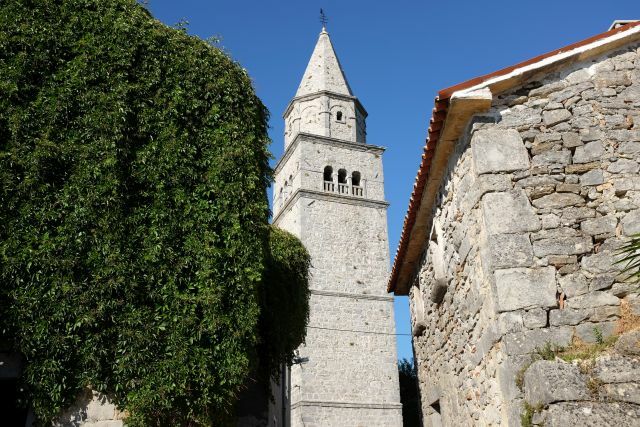 Every Istrian town and village has at least one church, but most often several. Interestingly, the zvonik (bell tower) is often completely separate from the church building, like here in Gračišće. The bell tower is always the highest point of the skyline, and in some places you can climb it and enjoy the stunning panoramic views. Highly recommended! You can see the view from Gračišće's bell tower here. Z is also for Završje, a charming hilltop town which is well worth a visit.